The team at The Inn at Dromoland invite you to experience the surroundings of the Dromoland Castle Estate. Combining high levels of service, sumptuous dining and rooms and facilities, we look forward to ensuring you have a relaxing and enjoyable stay. Our Hotel is located just a short 10 minute drive to Shannon Airport - SNN. If you are celebrating a Family Occasion or Wedding, planning a business meeting or conference, the Inn at Dromoland is the best hotel for you. Our guests can avail of special rates for the Spa at Dromoland and also on the championship golf course in Dromoland Castle. The Inn at Dromoland commands panoramic views across the Clare Hills and Shannon Estuary. A range of Clare attractions are located nearby including the Dromoland Estate as well as Bunratty Castle & Folk Park, Craggaunowen and Ennis town. Click here for a comprehensive list of County Clare Events in 2019. We invite you to explore our extensive range of packages which range from Midweek and Weekend Breaks, Family Breaks and Activity Breaks. View our Hotel BrochureAn overview of our FacilitiesChoose The Inn at Dromoland for your next break away - offering wonderful accommodation, Gastro Pub, Events facilities and much more. Located on the 450 acre Dromoland Castle Parkland Estate. Gift VouchersThe best way to say you care!Choose a monetary voucher or give a gift of Afternoon Tea, Dinner for Two or a Luxury Accommodation Voucher to say you care! 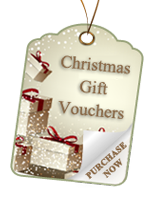 Vouchers are emailed directly to Recipient. Weddings at The Inn at DromolandView our GallerySee how your special day could look when you choose to have your wedding at The Inn at Dromoland, where the focus is all on you! Lots to explore on the Castle Estate!